The bribery scandal unfolding this week involving NCAA and Adidas AG ADS and coaches at four major sports universities is lost on no one who follows sports-least of all a professional athlete who has seen the sports machine up close. Talk about a growth stock; ADS has been a major winner since 2010. Until now, the only way to buy Nike products on Amazon is through third party vendors. Adidas will sell several of its golf brands to a newly established affiliate of KPS Capital Partners. 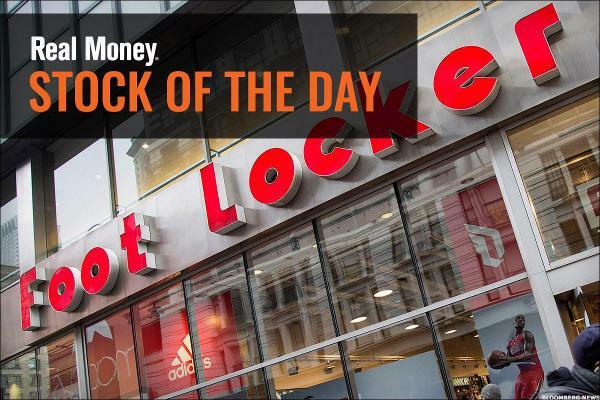 TheStreet's Action Alerts PLUS Portfolio Manager Jim Cramer analyzes Nike's latest quarterly earnings report and weighs in on the company's competition with Adidas. Could Alliance Data Systems Be Moving Toward a Sale? Alliance Data Systems added a director from activist fund ValueAct Capital. Graeme Roustan talks with TheStreet about operational issues, conflicts and governance concerns he has with the maker of the iconic Canadian ice hockey brand, Bauer. LendingClub may have unfairly become a bogeyman to potential Square shareholders, some analysts say. Alliance Data Systems may be headed for a sale or breakup. Shares of Adidas ended higher on Wednesday on news that it has signed a new long-term partnership with Kanye West. Nike will successfully defend its market-share title for at least the next 12 months. We would buy lightly on this current weakness and add to longs above $300. Cramer: Is This a Stupid Market? The link between high oil prices and high stocks makes no sense. Its numbers have suffered a bit, but this CEO has earned the trust and I think the stock is a huge buy. If this market is Hollywood, then Alliance Data is its James Bond.